They say that dark dwellers run rampant, causing horrifying disasters in these lands. In the center of this Netherworld lies a school that endlessly continues to expand its grounds. --The Nether Institute, Evil Academy. With the Overlord as dean and greater demons for teachers, demon students who follow their baser instincts are labeled as honor students at this school of torment. This is the root of evil in this tumultuous Netherworld… The Pandora's Box that spreads corruption and destruction. Still, many continue to be fascinated by this darkness. If you have the courage to descend upon the lands of this Netherworld, beware of losing your mind to the chaos. 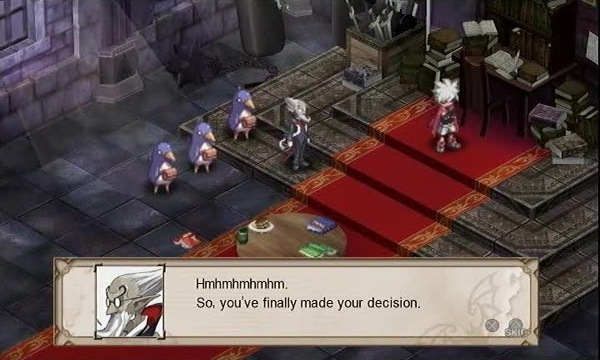 Our scene opens upon the room of Mao, son of the Dean of the Nether Institute and protagonist of Disgaea 3. Master Mao? It's almost time to go to school, dood. Truly a super hero… He has 100 dads. Um, Master? Shouldn't you be going to class soon? Justice…! Love…! The power of a hero…! Are you listening, Master? You've never even been to a class, dood. Isn't that… you know… kinda bad? However, hmm… It seems the time has come for me to start the preparations. 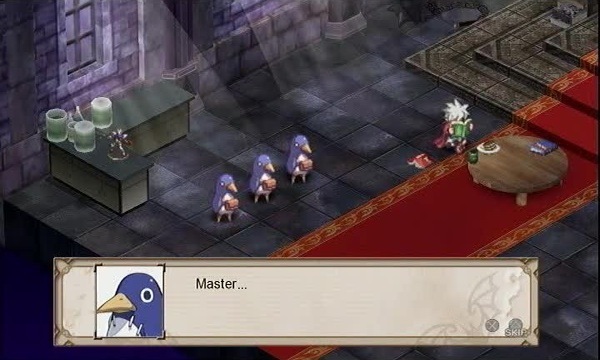 W, what's up, Master, dood? Peons, listen closely! 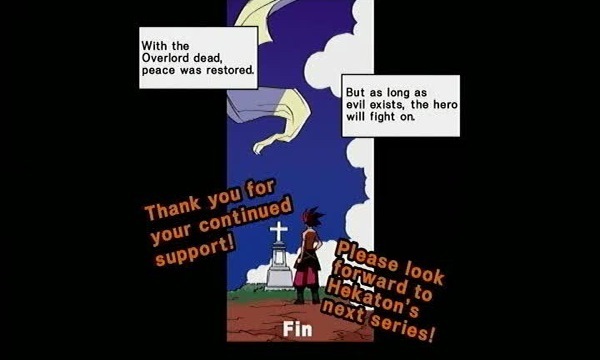 As of now… I shall become a hero! Wha, wha, what the hell, dood!? 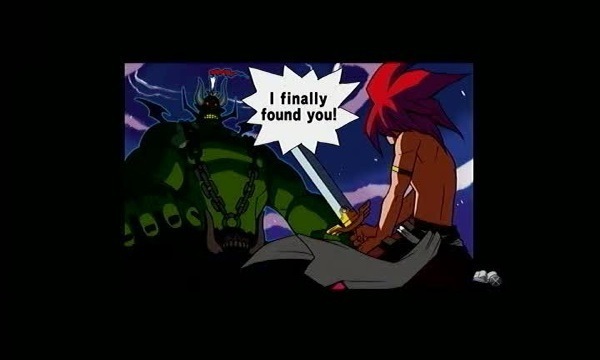 Uh, you're the heir to the Netherworld! The one and only son of the Overlord, Dean of Evil Academy! 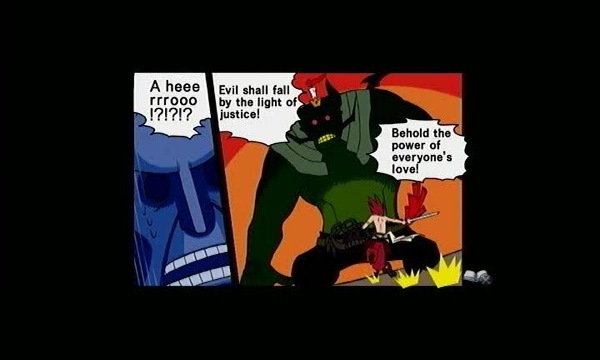 Why would you wanna be a hero, dood!? 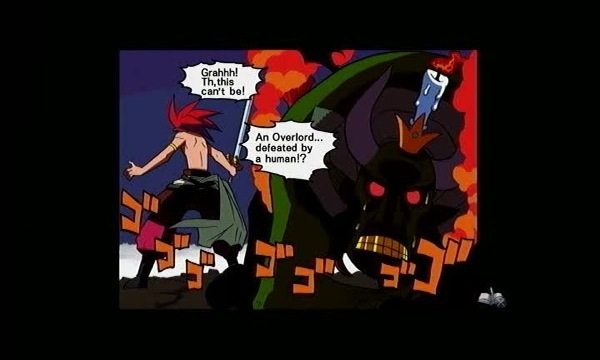 Why, to defeat the Overlord… To beat up my dad! Fool! There's nothing simplistic about it! It's the conclusion of my 3 months of non-stop research on anime, comic books, and video games! 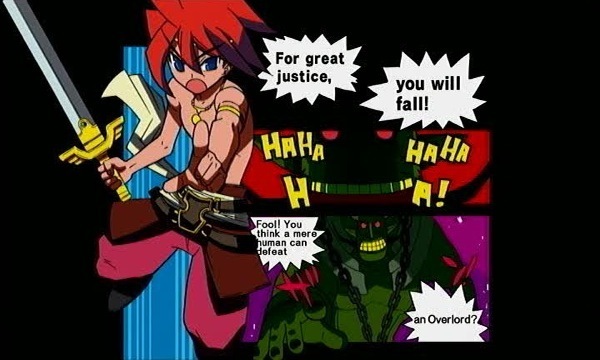 The hero defeats the Overlord! This is the only infallible rule! Need I remind you that I am a genius!? However! There is one huge problem. I'm sure there's more than one, but… What is it? I don't understand this love and justice quantity that heroes always talk about. No matter how much I research it, even with my 1.8 million Evil Quotient, I can't figure it out. 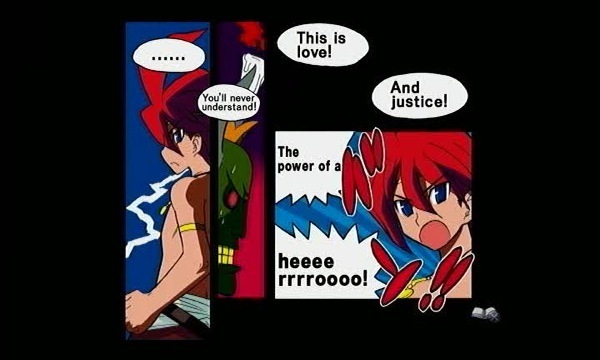 And the worst part is, this love and justice thing seems to be the source of a hero's power! What could it be…? Enter Geoffrey, Mao's trusty butler. I trust the various research data I presented to you about the hero has proven to be useful. Indeed. 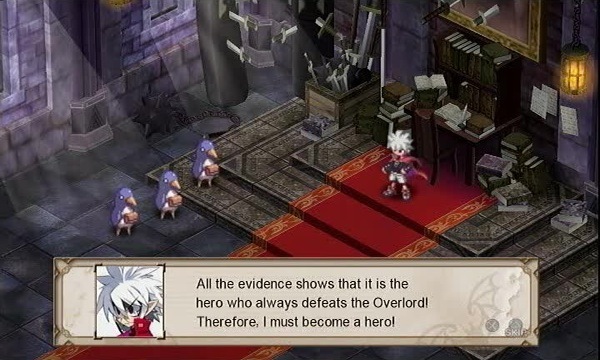 As you mentioned, it seems I must acquire the power of a hero in order to defeat the Overlord. The problem is, how do I obtain a hero's power…? 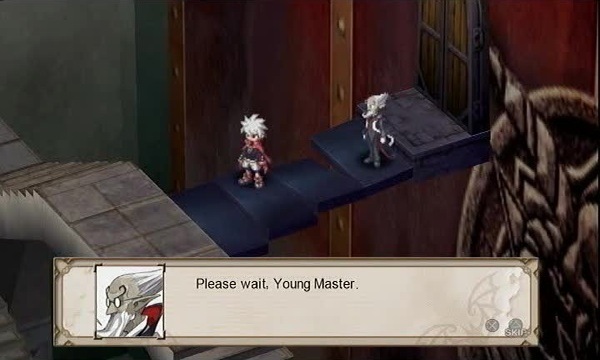 Do not worry, Young Master. Leave that task to your loyal butler. I thought this might happen, so I've already found a healthy, strapping, legendary hero for you. That was fast! …You really are convenient, Geoffrey. Hmhmhmhmhm. That is a part of my job, after all. Hmhm. Alright! I will capture that hero! Then I'll solve the mystery behind a hero's power, even if I have to dissect him! You better be ready, Legendary Hero! Hm? What is it, Geoffrey? I thought this might happen, so I've readied a few squires for you. Please use them for your hunt. There's no need. "Demons must relish solitude." Demons have no need for friends. Though what you say is very true, it is an Overlord's duty to use slaves. I suggest you try them out, this once. …Hmph. If you insist, then I will accept your advice. The game has given us a pretty decent starting team. 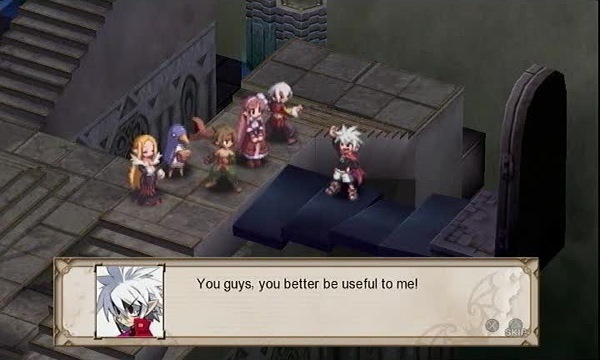 We have a Male Warrior, skilled in close combat with weapons, a Martial Artist skilled in fists, a Red Mage skilled in Fire Magic, a Cleric skilled in healing and a Prinny, skilled in exploding violently. They'll serve us well in the maps to come. Now let's start our search! 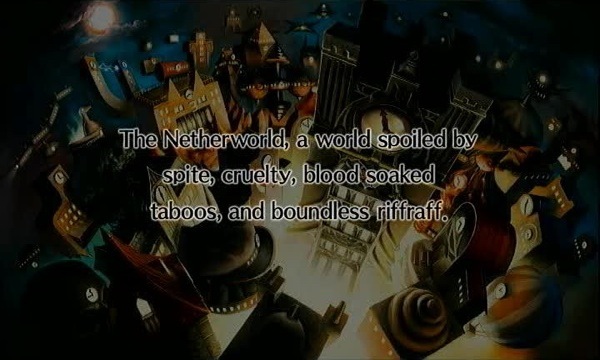 Scene- Netherworld Academy, Dimensional Gate. Enter Mao, Geoffrey. 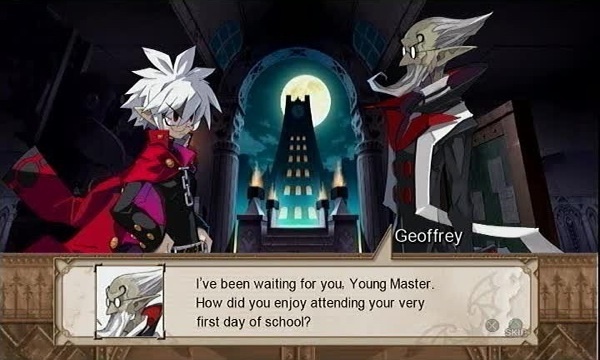 The infamous Evil Academy wasn't as great as I expected. Not even a single honor student stands out. By the way, what are you doing here? Ah yes, I've prepared a Dimensional Gate for you. You can use it to travel instantaneously to any destination. You never cease to amaze me. As always your efficiency seems almost unnatural. What a useful game-type mechanic. Hmhmhm, nonsense. I just read ahead a little, and prepared as necessary. So, where is this legendary Hero? Hm…! He's in my home? I read heroes use love and justice to get away with anything… It's so convenient. Hmhmhm. You will understand everything, once you become a hero yourself. That's true. 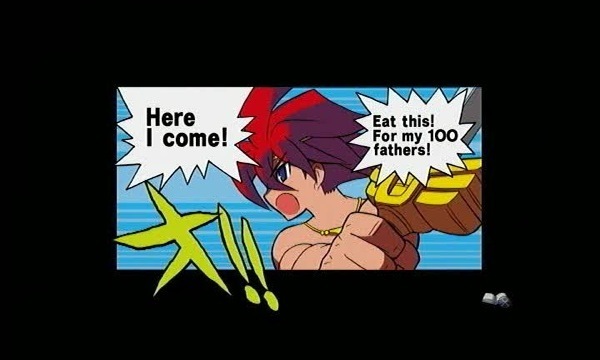 …Well then, I'm off. Ah yes. Take care, Young Master. Exit Geoffrey. Enter three female demons. My Lady, are you certain you should be doing this? Eavesdropping is an activity for an honor student. Well, it can't be helped right now. This is an emergency. Yeah, a super emergency. 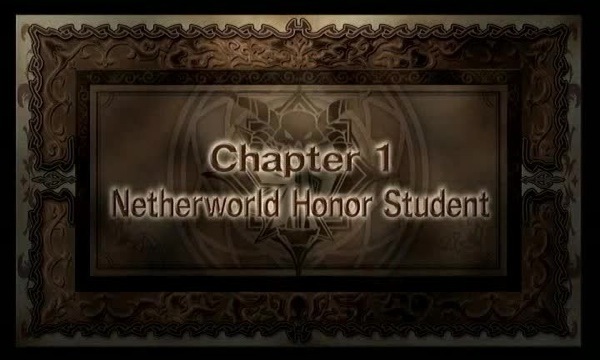 Evil Academy… no, the entire Netherworld is at risk. Yes. It's our practice to garner attention by doing good things in defiance of the evil that demons do. 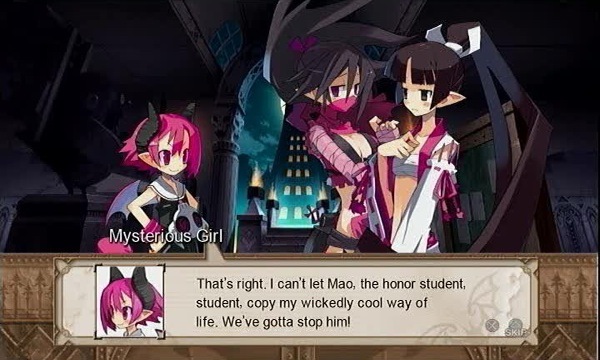 If Mao becomes a delinquent as well, our lady won't stand out anymore. Like the delinquents we are, we'll talk him out of it, of course! That's our lady! The most delinquent of them all! Finding peaceful resolutions to the most violent of circumstances! Hurry up, you two! Always be on time, if not early! But don't you dare run in the hallways!